Every other translation of acts 20:28 indicates that the church (or congregation) is purchased by God with his own blood! 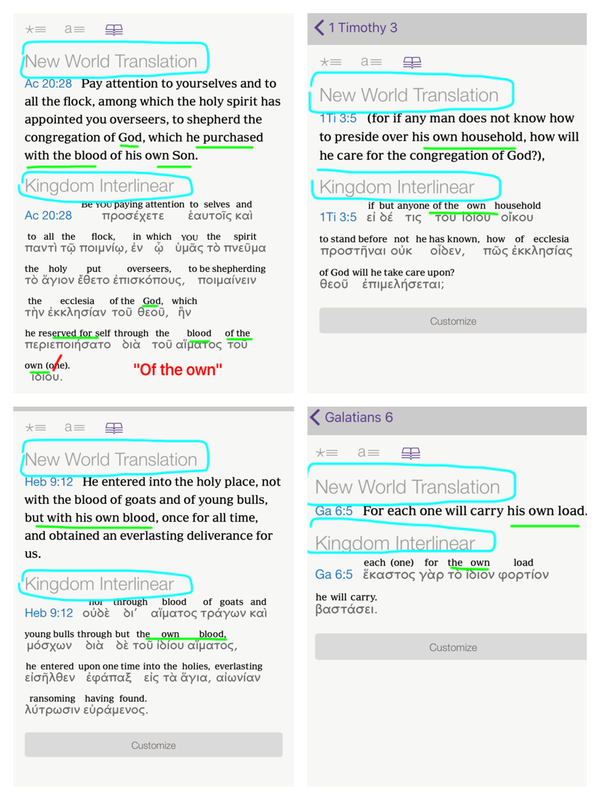 Notice in the kingdom interlinear (son) is added in parenthesis. Then notice the other three verses with the same sort of phrase and how it is structured in the Greek. If you let this compute, you will see what I saw. NWT once again disagrees with its own Greek interlinear (and every other translation of the Bible) in order to stop the verse from saying what it says. God purchased the Church with his own blood. Previous Post To be or not to be. That is the question.